US citizens residing abroad temporarily can vote by electronic ballot. So, if I can vote from a monsoon in Thailand, then you can vote from wherever you happen to be. 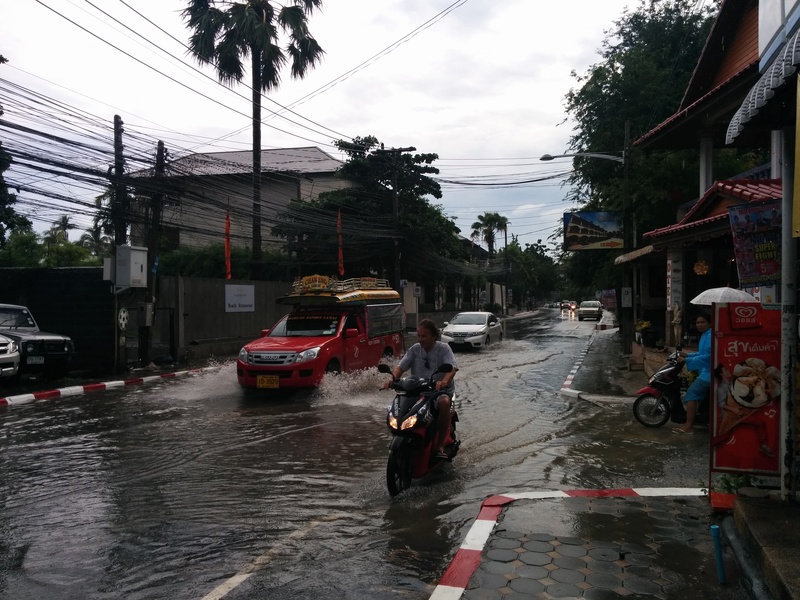 The streets of Koh Samui as the monsoon moves in. 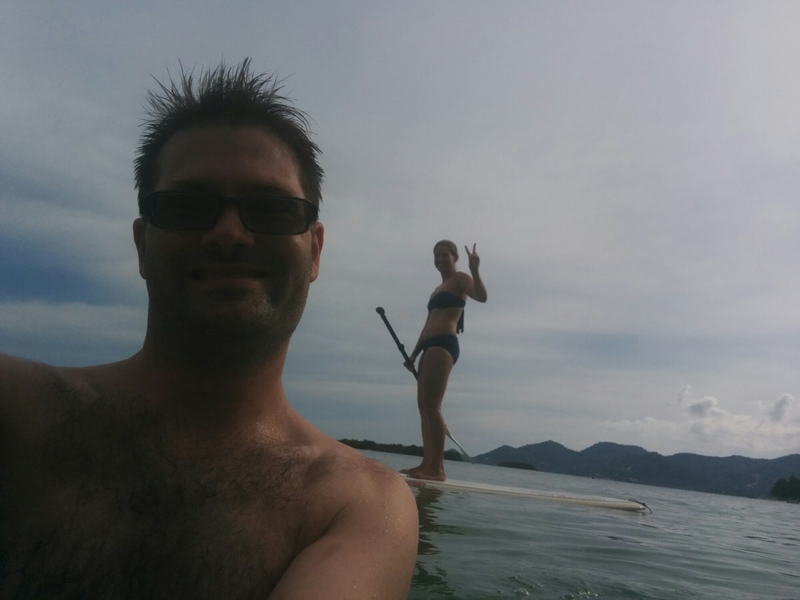 Erin has the paddle boarding bug. Enjoying the zen of spending all thoughts on not falling over 😉 Our last Asia beach day of the trip. The water was pretty dang warm, but visibility doesn’t match Caribbean / Mexico. The reef and fish are in much better shape though, which is nice. Hadn’t seen schools of fish this large for a long time. Saw a school so large and dense that for about 30 seconds I thought a whale shark was coming into view, but it just turned out to be a massive school of fish coming in from the distance. Sadly, no whale sharks on our dives. Can’t complain we beat the bad weather (monsoon) to the best dive site on these small islands.